Eagle LNG's liquefaction plant in Maxville, Fla., under construction, will supply LNG to Crowley's leased JAXPORT bunkering terminal. The LNG plant features a 65-foot storage tank that can hold about 1 million gallons of liquefied natural gas. It also includes an LNG truck loading system. The state-of-the-art facility, west of Jacksonville, is also designed to load LNG into ISO (International Organization for Standardization) containers. Crowley’s JAXPORT terminal will include two “Decinske Giant” cryogenic storage tanks with a capacity of 1 million liters of LNG each. Each tank, designed by Chart Industries, weighs approximately 260 tons, and is almost 52 meters (170ft.) long. 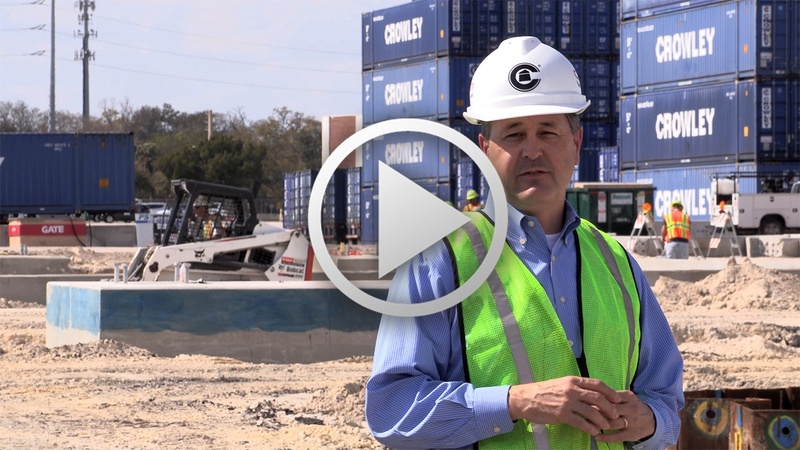 Crowley and Eagle LNG’s new shoreside LNG bunkering facility is located at the Crowley Talleyrand Marine Terminal of the Jacksonville Port Authority. The 2-acre JAXPORT terminal along the St. Johns river will be the fueling station for Crowley's LNG-powered ConRo ships transiting the Puerto Rico trade. The ConRo ships were designed with three double-walled, stainless steel LNG Holding tanks – which measure 110 feet long, 20.6 feet wide, and weigh of 225 metric tons. The three tanks will hold more than enough LNG fuel for two round-trip voyages between Jacksonville and Puerto Rico. The engine, which generates 35,080 horsepower, has a total weight of 759 metric tons and measures 41 feet high, 41 feet long, and 14.7 feet wide. 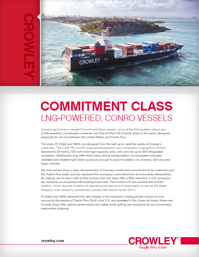 To continue Crowley's storied commitment to Puerto Rico, we are investing in a cleaner fuel source - liquefied natural gas - for our combination container/Roll-on Roll-Off (ConRo) ships that will sail between San Juan and Jacksonville, Fla.
As part of our investment, we are equipping our new ConRo ships with an LNG fuel system and are building out terminal and facilities infrastructure to support them. LNG is a stable gas that is neither toxic nor corrosive and is lighter than air. It is the cleanest fossil fuel available, netting a 100-percent reduction in sulphur oxide (SOx) and particulate matter (PM), and a 92-percent reduction in nitrogen oxide (NOx). 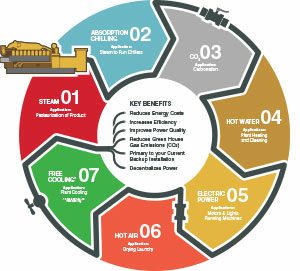 LNG also has the ability to significantly reduce carbon dioxide (CO2), a contributor to greenhouse gas emissions, as compared with conventional fossil fuels. In Jacksonville, Fla., we are working with Eagle LNG Parters to build and operate a new shore-side LNG bunkering facility at our leased facility at the JAXPORT Talleyrand Marine Terminal. The bunkering site will serve as the fueling station for the LNG-powered ships.